Bisphenol-A (BPA) is a ubiquitous estrogen-like endocrine disrupting compound (EDC). BPA exposure in utero has been linked to breast cancer and abnormal mammary gland development in mice. The recent rise in incidence of human breast cancer and decreased age of first detection suggests a possible environmental etiology. We hypothesized that developmental programming of carcinogenesis may involve an aberrant immune response. 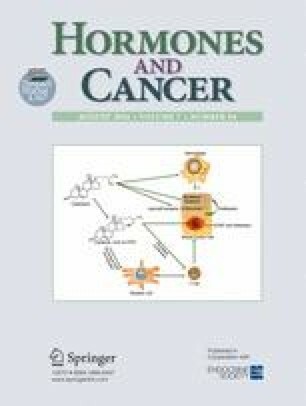 Both innate and adaptive immunity play a role in tumor suppression through cytolytic CD8, NK, and Th1 T-cells. 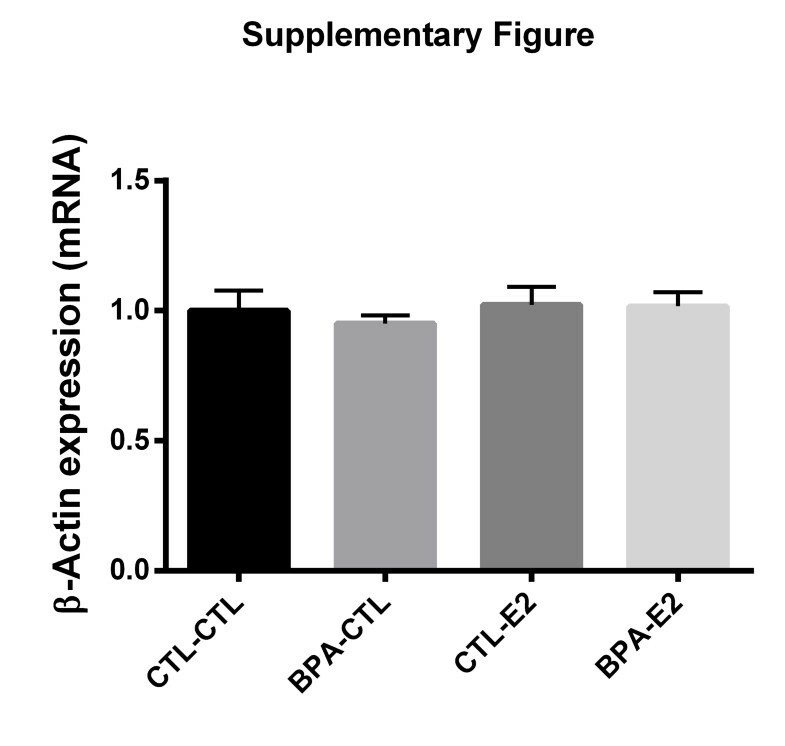 We hypothesized that BPA exposure in utero would lead to dysregulation of both innate and adaptive immunity in the mammary gland. CD1 mice were exposed to BPA in utero during gestation (days 9–21) via osmotic minipump. At 6 weeks, the female offspring were ovariectomized and estradiol was given at 8 weeks. RNA and protein were extracted from the posterior mammary glands, and the mRNA and protein levels were measured by PCR array, qRT-PCR, and western blot. In mouse mammary tissue, BPA exposure in utero significantly decreased the expression of members of the chemokine CXC family (Cxcl2, Cxcl4, Cxcl14, and Ccl20), interleukin 1 (Il1) gene family (Il1β and Il1rn), interleukin 2 gene family (Il7 receptor), and interferon gene family (interferon regulatory factor 9 (Irf9), as well as immune response gene 1 (Irg1). Additionally, BPA exposure in utero decreased Esr1 receptor gene expression and increased Esr2 receptor gene expression. In utero exposure of BPA resulted in significant changes to inflammatory modulators within mammary tissue. We suggest that dysregulation of inflammatory cytokines, both pro-inflammatory and anti-inflammatory, leads to a microenvironment that may promote disordered cell growth through inhibition of the immune response that targets cancer cells. Catha Fischer and Ramanaiah Mamillapalli contributed equally to this work. The online version of this article (doi: 10.1007/s12672-016-0254-5) contains supplementary material, which is available to authorized users. All animal experiments were conducted in accordance with the Yale University Animal Care Committee Guidelines. This work was supported by NIH Grant RO1 HD076422.